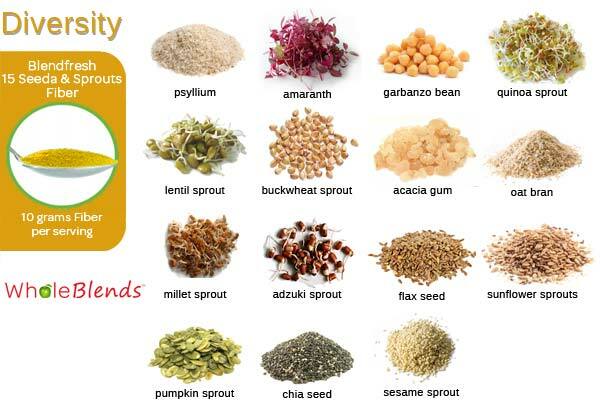 Seeds and Sprouts whole food fiber! This formulated diverse blend of 15 digestive-friendly seeds and sprouts delivers 10 grams of fiber per serving. It’s so easy to get the recommended daily amounts of fiber into your diet. * Diets low in saturated fat and cholesterol that include seven grams of soluble fiber per day from psyllium husk may reduce the risk of heart disease. 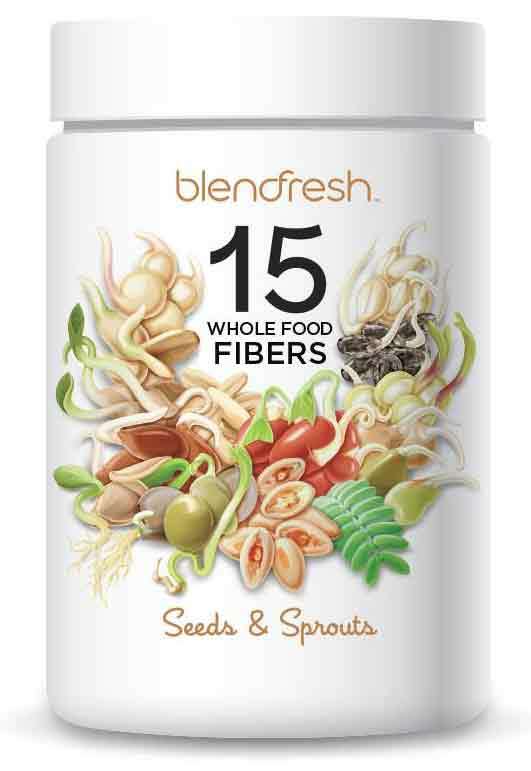 Blendfresh Fiber combines diverse whole foods to create the perfect blend of natural soluble fiber. With over nearly half of its sources being sprouted this fiber blend offers additional nutritional benefits including Calcium, Vitamin C, and Iron. Take advantage of the variety of seed and sprout sources including psyllium amaranth, quinoa, lentil, buckwheat, millet, adzuki, flax, sunflower, pumpkin, sesame, and chia. As with all Blendfresh blends, this product is gluten-free, raw, non-GMO, pesticide free and all naturally organic.